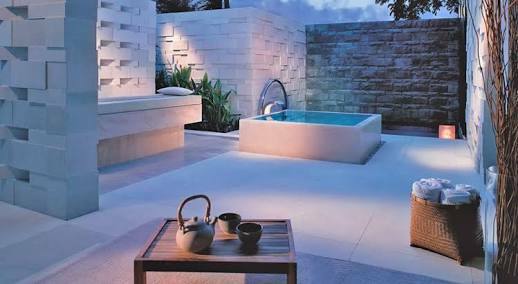 The Kriya Spa at Grand Hyatt Bali was inspired by the magnificent architecture of an ancient Balinese water palace and is the contemporary, luxurious reflection of ancient Balinese traditions of wellness. Kriya – meaning “ritual” in Sanskrit – is a Balinese spa that celebrates authentic island healing forms. Drawing inspiration from traditional Balinese method, Kriya Spa promotes longevity aand youth with the use of local herbs and roots. All treatments at Bali Kriya Spa are based on the rituals of Harmony, Purity, Energy and Bliss which is derived from traditional Balinese healing philosophies and individually tailored to create specific treatments that promote the positive health and longevity of our Guests. 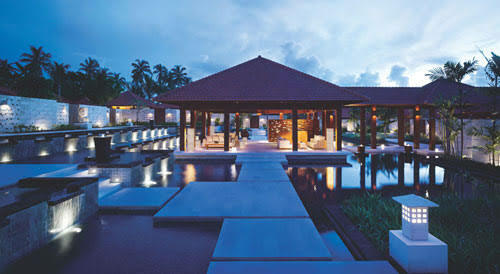 Indulge in complete relaxation at the luxurious Kriya Spa at Grand Hyatt Bali in Indonesia.